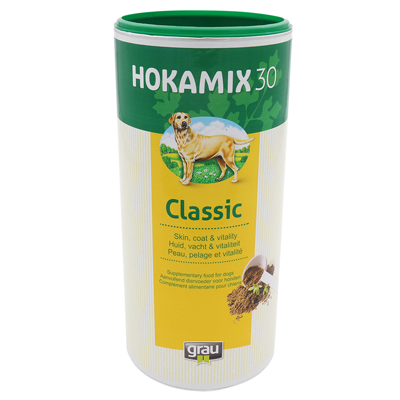 HOKAMIX30 classic powder optimizes the metabolism and compensates nutrition-related deficiencies. 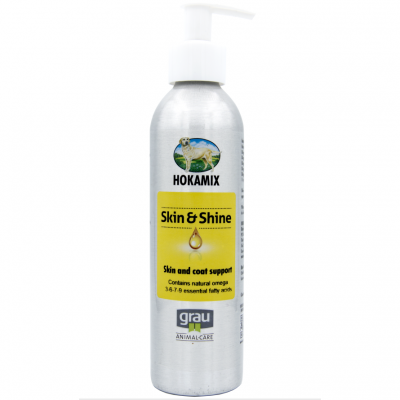 HOKAMIX30 Classic Powder for Skin, Coat, Vitality - for general condition or slight skin and coat problems. Hokamix30 Classic Powder cleanses the system and improves metabolism. This is a pure herbal mixture of 30 herbs that contains natural vitamins, minerals and trace elements. Each of these herbs has its own important function in the body and is very effective. 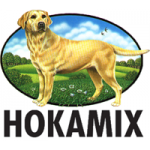 Added to the daily diet Hokamix ensures your dog receives a complete and balanced meal and optimises the natural ingredients which can be destroyed in your dog's food during manufacturing processes, storage or other influences. Dogs over 40 kg use 20g to 25g per day. 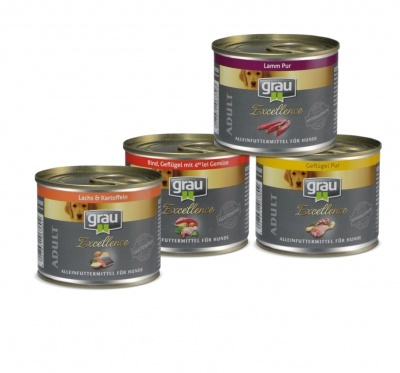 A 5gm spoon is included in every package so the amount can be measured easily. 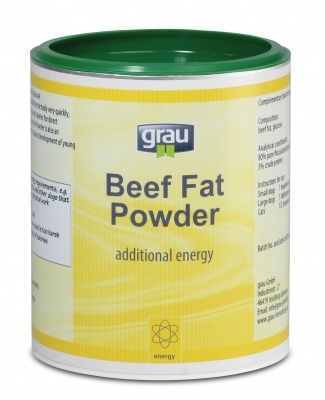 The recommended daily amount can be given at one go or spread over multiple meals. Can be added to dry or wet food. 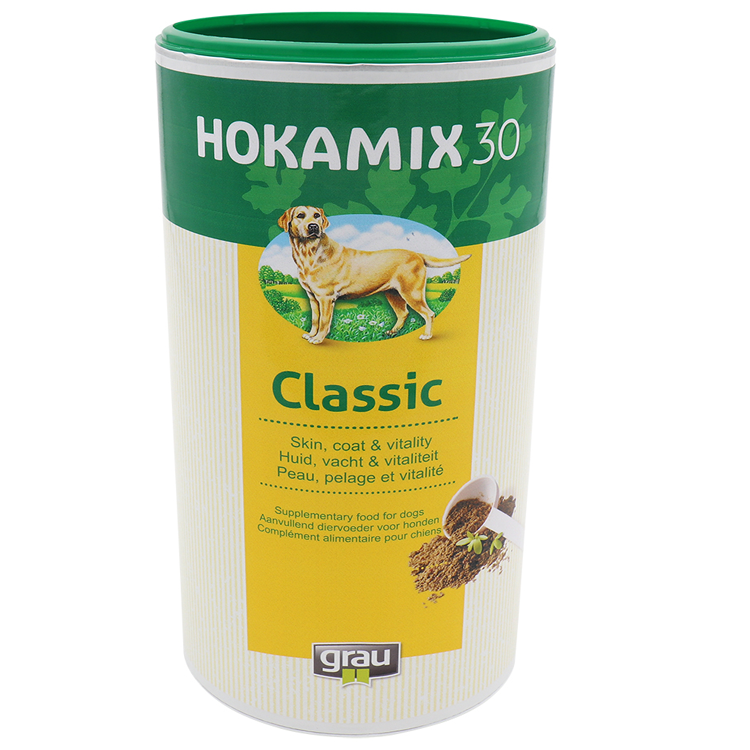 Attention: HOKAMIX30 Classic Powder must not come in contact with hot water and not be heated above +35 °C. holistic pet gives an excellent service and products are delivered promptly. 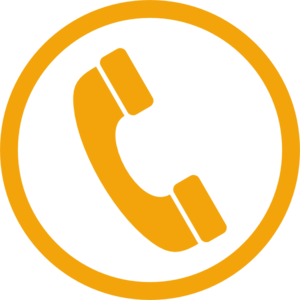 The products I have used are of a very high quality and have made a difference .